Look at the chemical reaction you are trying to break down as an equation. Look for key words, specifically the chemical components involved. 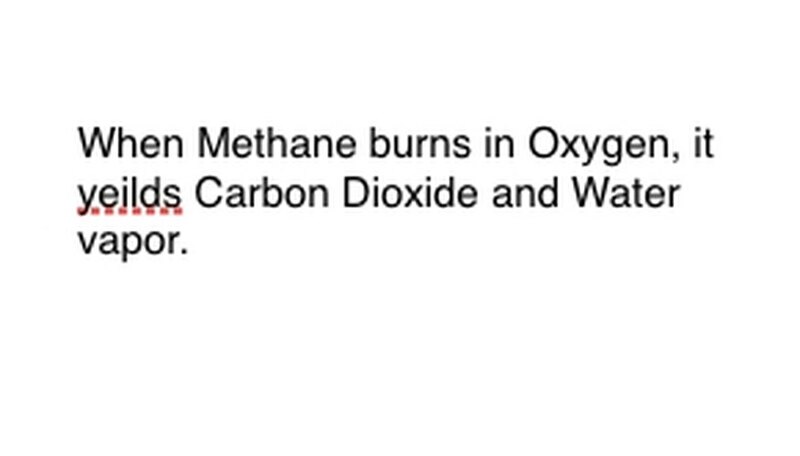 For example, methane (CH4) is burned, which always means it's done in oxygen (O2). This yields both carbon dioxide (CO2) and water (H2O) vapor. Note the location of the word "Yields," as this is important. Write the chemical components of the reaction in the standard notation format. In our example, this will be CH4, O2, CO2 and H2O. In chemistry, to "yield" means that whatever is before turns into whatever comes after, so be sure that "yield" is roughly in the middle. That phrase will represent the actual chemical reaction, in this case the burning. So anything that you will burn must be before it, and anything the reaction yields must be after. Rewrite the equation as a mathematical process. Replace "yield" or "turns into" with an arrow, and draw plus signs between the chemical components. To simplify things, think of each chemical component as an individual molecule. It may help to draw the molecules out on a piece of scrap paper. Make sure all of the molecules that go in are represented coming out. If there is something missing from the end product, you can add that in a way that makes sense--check anything against what you know about covalent bonding. 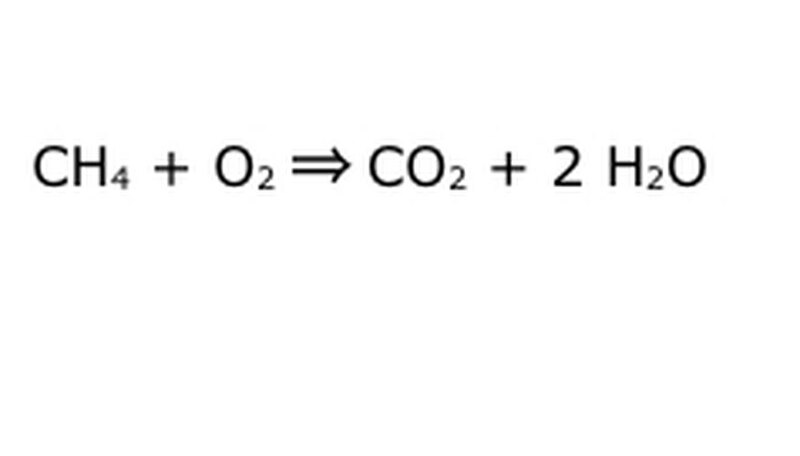 As most experiments are done in the regular atmosphere, you can add O2 if necessary to burning reactions. If the equation is reversible, make sure it has a double-arrow to represent that. Balance your equation. This is where the Law of Conservation comes into play: think of the arrow, our reaction, as a machine into which you have dumped all of the components on the left. The machine won't make or add anything you didn't put in, and therefore it will only spit out the same amount of stuff you put in. At this precise moment, we have two excess hydrogen molecules floating around, because you put "4" in. The only place it can go in this machine is into one of the products, so it will have to go into the water molecules. Write a "2" in front of the H2O to indicate that for every CH4 you put in, you will get two H2O back. 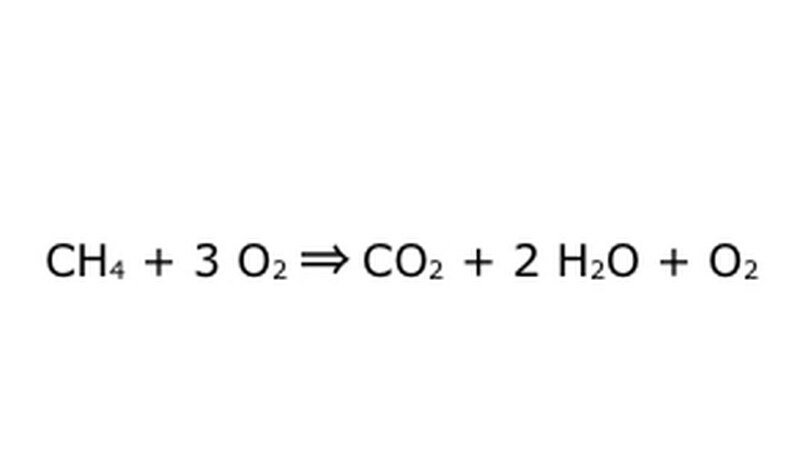 Note that there is still a small problem with our equation: there isn't enough oxygen going in. There are four oxygen atoms coming out, but only two going in, and so the whole thing is still unbalanced. 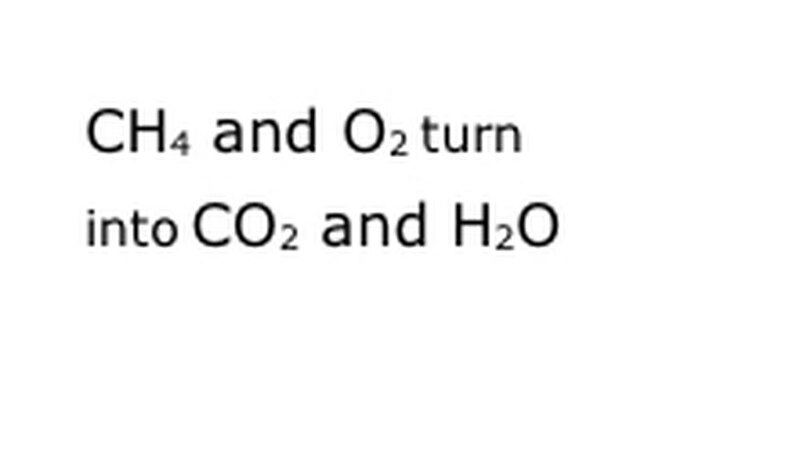 Write a "2" in front of the O2 to represent that you have to put two O2 in to get enough out of the reaction. 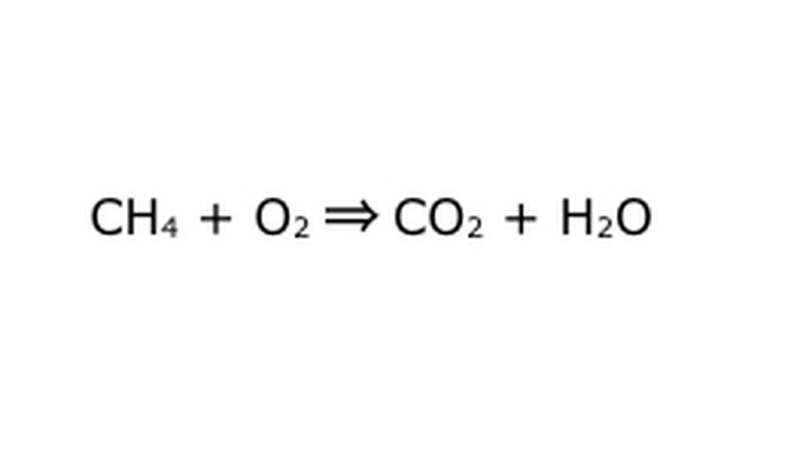 Note that it's possible to do a process like this "in an excess of Oxygen." What this means is the equation puts in more oxygen than is needed, and gets more back. For the example, note that there is an extra O2 going in, so there is an extra coming out. Just be sure that the Law of Conservation is observed at all times. Anything that goes in has to come out. Generally, chemicals in these types of equations are measured in moles. A mole is a unit which represents 6.0221415 --- 10^(23) molecules. As this is a number far too large to comprehend, it is easier to think in terms of single molecules when balancing. Be aware of this when starting. Turner, Grahame. " How to Write a Chemical Formula." 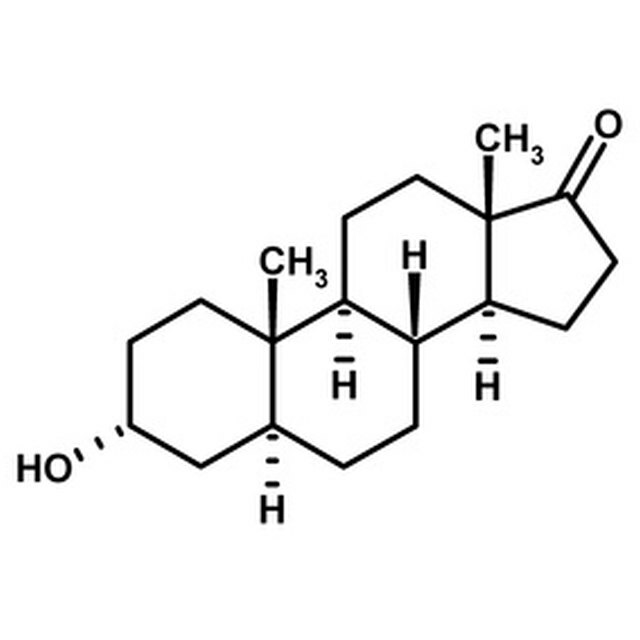 Sciencing, https://sciencing.com/write-chemical-formula-5395248.html. 24 April 2017.